Obituary – Schultz, Lucille Marie (Steichen) « Perry High School Alumni Association, Inc.
Library Staff 50-53, Glee Club 52-53. Lucille Steichen Schultz, 84, went home to be with her Lord and Savior Friday, April 20, 2018, at her home, surrounded by her loving family. Visitation will be held on Wednesday, April, 25 from 9:00a.m – 8:00 p.m. with family greeting guests from 6-8p.m. Funeral service will be held on Thursday, April 26, 2018 at 1:00p.m., at The Assembly of God Church in Perry. Interment will follow at Polo Cemetery. Dighton Marler Funeral Home of Perry is entrusted with arrangements. Lucille was born March 8, 1934, north of Perry, the daughter of Nick J. and Rosa (Rolling) Steichen. 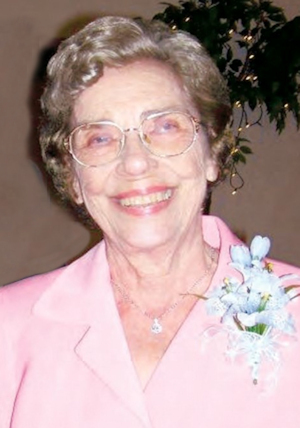 She attended her first three years of school northeast of Perry at Pleasant Hill, and then transferred to Perry where she went to Perry Elementary School and was a 1953 graduate of Perry High School. After graduation, she stayed at home with her parents until she went to work as a telephone operator, at which time she moved to Perry and lived with her sister Katherine. Lucille loved to play the piano, such songs as Black Hawk Waltz, Over the Waves and Star of the East. She was playing the piano “by ear,” before she ever began taking lessons. She loved playing outside games with her sister. Lucille met Pete M. Schultz at a fund raiser at Oak Dale School. Pete asked Lucille to walk for him in a cake walk. They started dating and were married June 1, 1957 at St. Rose of Lima Catholic Church in Perry. They established their first home in Perry, then moved and purchased a home in Enid where their son Marvin was born in 1958. They moved back to Perry and lived west of town on the Edgar Place, where their daughter Rhonda was born. They moved east of town where they lived for six years, then northwest of Stillwater for 26 years, canning and gardening, working side by side with Pete. The two were almost inseparable. When you saw one, you saw the other. She also worked at Mistletoe Express as a secretary; and was a homemaker, mother and grandmother. In 1992 the family moved to the Schultz family farm where Pete was reared and where they currently reside. She was preceded in death by her parents; brother Ed Steichen, and sister Katherine Steichen. 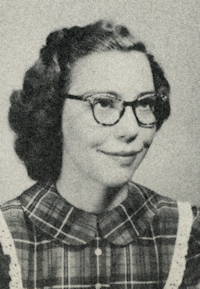 She is survived by her husband, Pete, of the home, a daughter and son, Rhonda Schultz and Marvin Schultz and his wife Sherry; eight grandchildren and 10 great grandchildren; her twin sister, Luella Cink, Enid, Oklahoma, and another sister, Deloris Quinn of San Antonio, Texas; and many nieces and nephews, of whom a large number stayed at the farm with Pete and Lucille during the summer, sometimes working and helping with the farm work.